At the start of season 6 there's a lot of talk about the belief that Buffy went to Hell during the time she was dead between the seasons but I'm sure there have been occasions before the season 5 finale when it's mentioned that Buffy has (already) been to Hell. My question is when did Buffy go to Hell originally? Did it happen when the Master killed her at the end of season 1 (or another time) and if so, when does she talk about her experience of the afterlife? It is unknown whether there is a true "Hell" as described by most religions. There are, however, Hell Dimensions (as well as Heaven Dimensions). 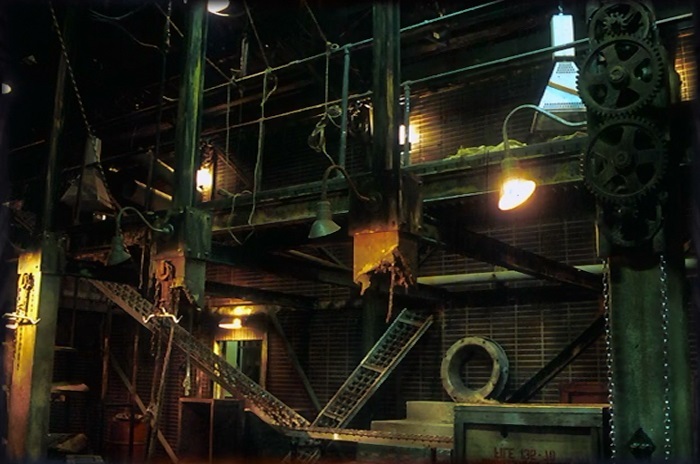 Buffy had technically visited a Hell Dimension earlier in the Season 3 premiere, when she was trapped in The Factory Dimension. It's a comment from Willow that convinces the Scoobies to believe that Buffy ended up in hell after her death. WILLOW: It means more than that. (to Xander) It means we don't know ... where she really is. XANDER: We saw her body, Will. We buried it. WILLOW: Her body, yeah. But her soul ... her essence ... I mean, that could be somewhere else. She could be trapped, in-in some sort of hell dimension like Angel was. (tearfully) Suffering eternal torment, just because she saved us, and I'm not gonna let ... I'm not gonna leave her there. (intensely) It's Buffy. Since Buffy had to jump into the portal/gate to close it, and died doing so, there's a fair assumption that her soul may have been pulled through that portal into the Hell dimension. Their assumption has less (possibly nothing) to do with Buffy being worthy of Heaven or Hell, and everything to do with the circumstances of her death. Depending on how you define it, Buffy may or may not have actually gone "to Hell". However, it's not intended to be hell as in the afterlife, a place where souls go when they die, so it probably doesn't count. Many other such hell dimensions exist, though I don't think Buffy ever visits one explicitly. More likely, you're remembering the discussion that was had during the Season Six premiere episode, "Bargaining, Part One". Buffy has been dead for about 5 months at that time, and the Scooby gang is trying to get along without her. They presume that she is trapped in Hell, and they rescue her, though she comes back in a very bad state. BUFFY You brought me back. I was in a place ... I was in Hell. I don't ... I can't think much about what it was like. But it felt ... I felt like the world abandoned me there. And then suddenly you guys ... You did what you did. Of course, she later tells Spike that she was in Heaven, not Hell, but swears him to secrecy on that point. WILLOW: Her body, yeah. But her soul ... her essence ... I mean, that could be somewhere else. She could be trapped, in-in some sort of hell dimension like Angel was. (tearfully) Suffering eternal torment, just because she saved us, and I'm not gonna let ... I'm not gonna leave her there. At the same time, there is an undertone of desperation on their part. They are not handling her absence well, and are looking for a reason to justify trying to bring her back. Convincing themselves that they are rescuing her from hell is as good a motivation as any. 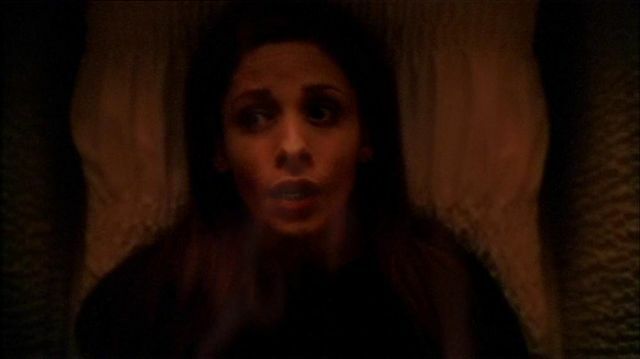 Prior to Season 5, Buffy visited a hell dimension in the Season 3 premiere "Anne". She mentions this again in the fourth season episode "Wild at Heart" which is probably what you're remembering. Buffy : Right now she wishes I hadn't. Giles, I've never seen her like this. It's like it hurts too much to form words. Giles : You've... You've felt that way yourself, And you got through it. Buffy : Yeah. I ran away and went to hell and then got through it. I'm kind of hoping she doesn't use me as a model. GILES: That might pose some difficulty. From what the Council's been able to discover from the book of Tarnis and, and, and other sources, Glory and two of her fellow hellgods ruled over ... one of the more seriously unpleasant demon dimensions. TARA: There's more than one? ANYA: Oh, there are thousands of demon dimensions. All different. On top of that, in After Life, Buffy explicitly told them that she was in hell (while in reality, her confusion and post-traumatic stress is actually caused by the fact that she was in heaven). BUFFY : You brought me back. I was in a place ... I was in Hell. I don't ... I can't think much about what it was like. But it felt ... I felt like the world abandoned me there. And then suddenly you guys ... You did what you did. TARA : It was Willow. She knew what to do. Buffy smiles. The others smile gamely back. BUFFY : So you did that. And the world came rushing back. So... thank you. You guys gave me the world. Thank you. I can't tell you what it means to me. Prior to that, she died in the Season finale of Season 1 (but didn't go anywhere) and pushed Angel into a Hell dimension in Season 3 (but didn't join him). They are likely referring to her comment to Giles about running away and going to hell, and Xander's comment "Buffy you've been to hell, do they have one bedrooms?" Both of which occurred prior to her death and subsiquent resurrection by willow/the scoobies. Both of which referr other experience in the hell demension in the episode "Anne"
How do crosses/crucifixes work in Buffy? Did Faith ever undergo the Cruciamentum?